I've always had an affinity for vintage jewelry. The idea that a single piece can possess an untold story always adds a hint of excitement. I stumbled upon the two necklaces above while combing the Internet for items that could truly help expand my jewelry collection. My search for treasures that felt timeless, yet trendy, led me to Neely Phelan. Her amazing collection offers a blend of antique and vintage elements that feels unique and inherently romantic. I highly recommend checking out her collection here. Are you a fan of vintage jewelry? i wish i had an eye for vintage jewelry! so cute! Such a great boho outfit, perfect for Fall! Fantastic fall look. Love the boots and purse. One of my goals is to collect vintage designer jewellery and I totally agree, I love the thought of the story each piece could tell..
Great fall look. I love the burgundy color again your skin and hair color. Simply beautiful. Love the color of your shirt! I love that horn necklace! This is a great look for fall, I love all of your jewelry! 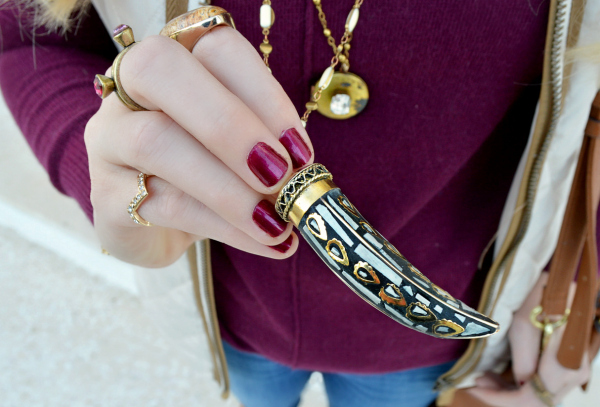 Your horn necklace matches the horn bracelet I'm wearing in todays post! Such a cute look! 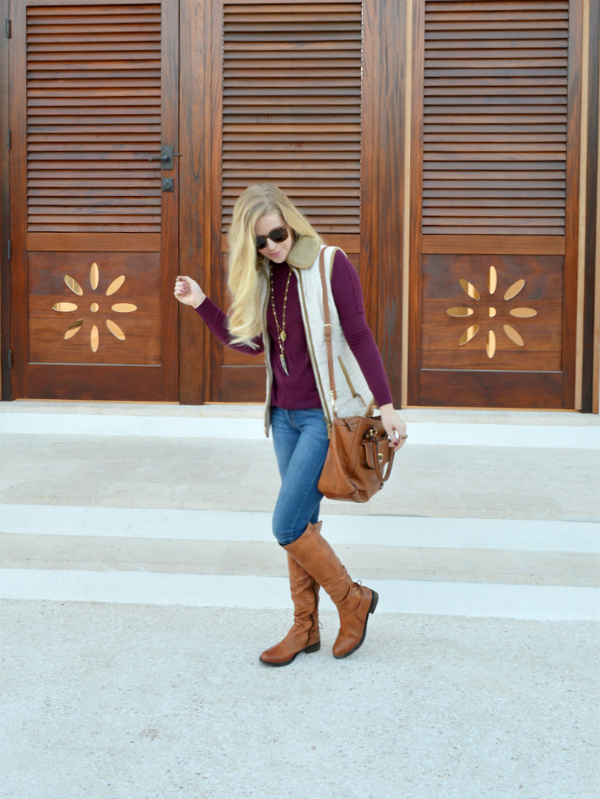 Love everything about this vest. Obsessed with horns right now! Love that one. You should also check out this Stella & Dot one (http://www.stelladot.com/shop/en_us/p/jewelry/necklaces/necklaces-all/sahara-pendant-necklace), so cute!! Dying over these necklaces. They are stunning. What a great burgundy color! Great outfit! Love the necklace. Those are such gorgeous pieces-- I totally adore the necklaces! 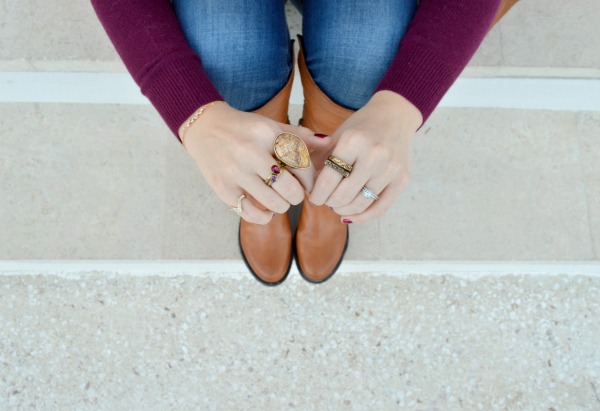 What a perfect fall outfit; love the boots too! Love the color! And boots! 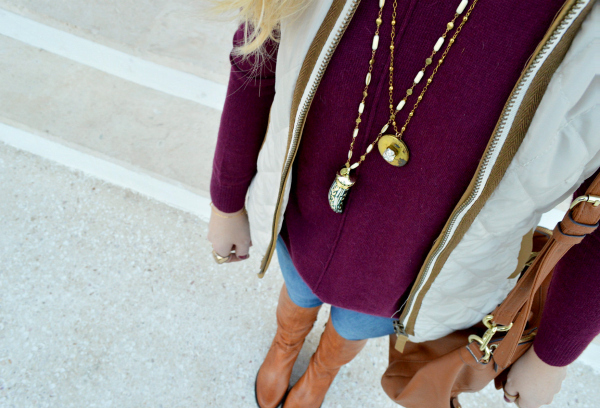 Gorgeous outfit, I love the jewelry and those Steve Madden boots are perfect for fall! I love this! That necklace is so fun! 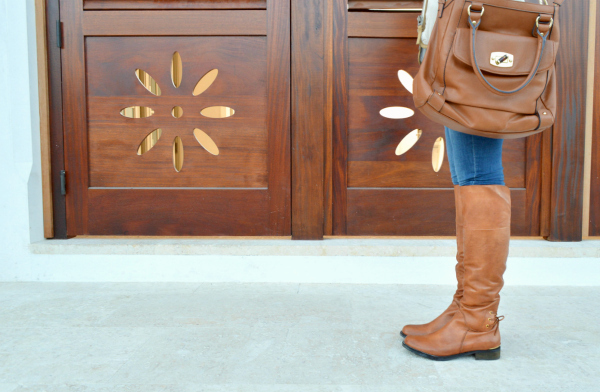 I really like the color of your bag and boots too! I love the colours in this outfit, and that necklace is so beautiful and fun! Obsessed with this outfit. The boots are fab. 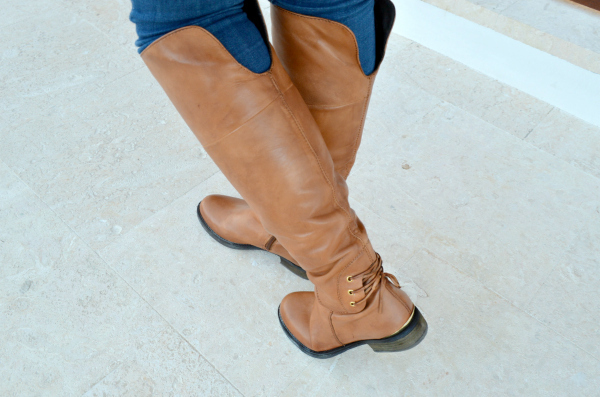 Great boots Anna! Your accessories look so fun! That purple sweater is such a gorgeous color on you! And those necklaces are amazing. I love that Italian horn! I love every single piece of your outfit!! Such a nice combo! amazing!i love that bag and brown knee high boots. Super cute! I love the jewelry accents and your rings in particular!